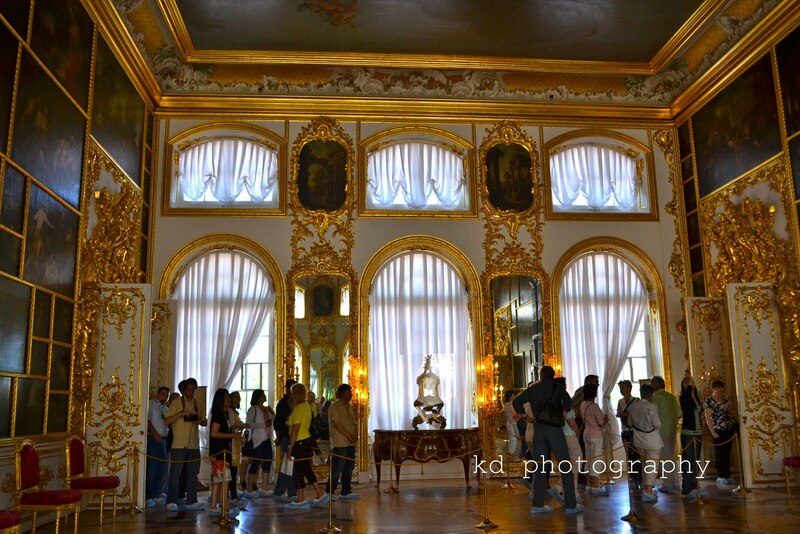 In addition to the gilded rooms, we also toured different themed rooms in the palace. 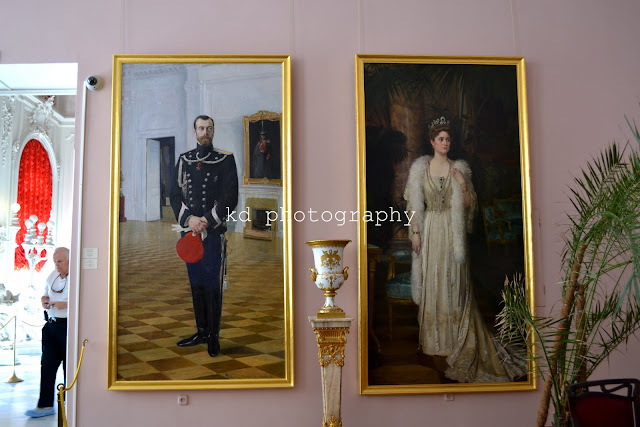 I think that if you like history, you'll enjoy looking at the portraits of royalty especially the Romanovs. I've only read about them in books, but looking at their photos and knowing that they once called Catherine's Palace their home makes me feel closer to history. Portraits of Russia's historical leaders and royalty adorned this white painted room. 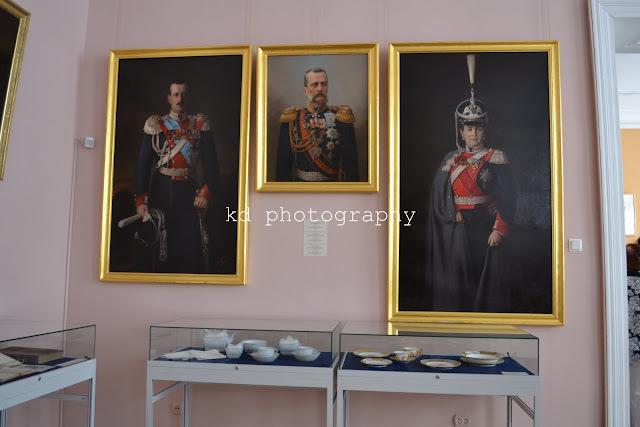 In these photos are the Romanovs. Portraits of Nicholas II and Alexandra Romanov. Portraits from ceiling to floor. 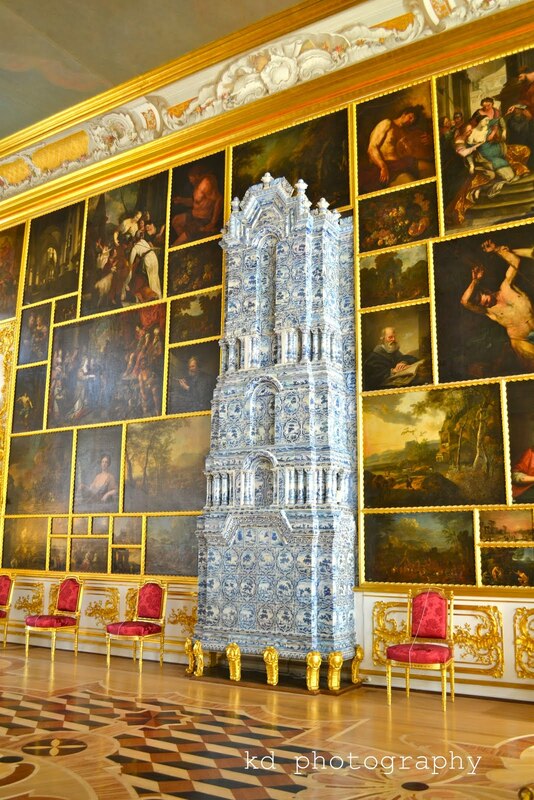 This is called the Portrait Hall. Visitors enjoying the Portrait Hall. Other side of the Portrait Hall. 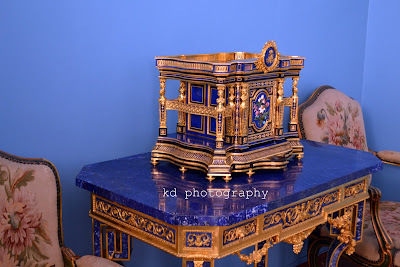 One of the antique collections that caught my eye. 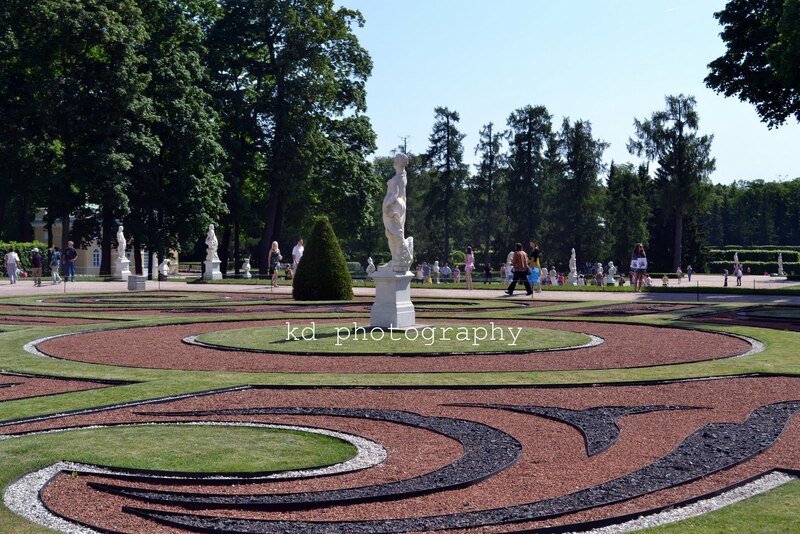 This is the view when we exited the palace. When I took this photo, we were on our way to the pick up point since we lost sight of our tour group. 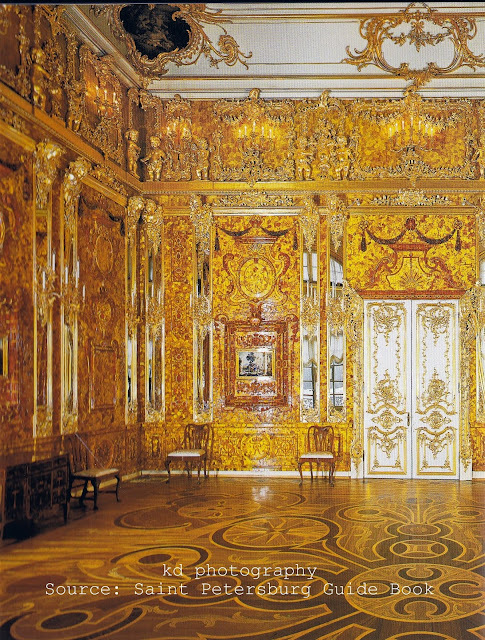 This is the Amber Room, and this is the room that caught my interest the most. 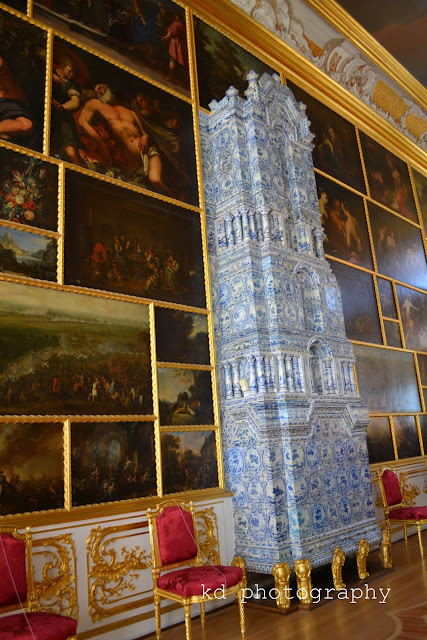 I think that most people who visit Catherine's Palace yearn to walk into this room; I did. When the palace was raided by Nazis, they took all the amber from this room and took them to Germany. This room is a product of careful reconstruction and since they're still searching for more amber, some portions of this room are still uncovered. 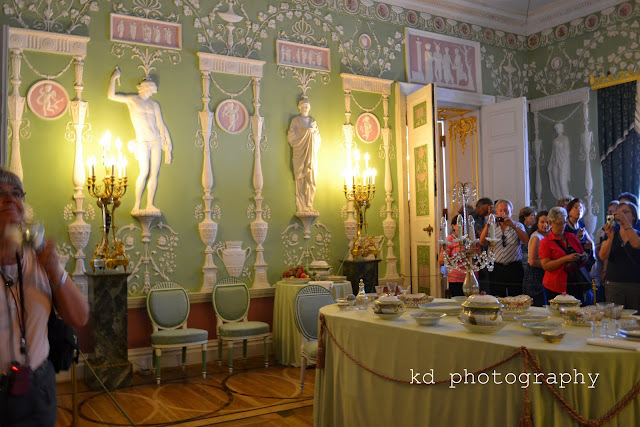 Photography is not allowed, so I scanned this from the my St. Petersburg Guide Book. very lavish living. 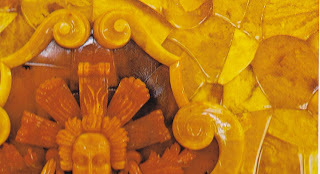 the amber room is defifnitely worth visiting. i lvoe amber btw. Wow! I still am in awe of that room! and that gold one! wow again! Height of opulence! I love the green room though. 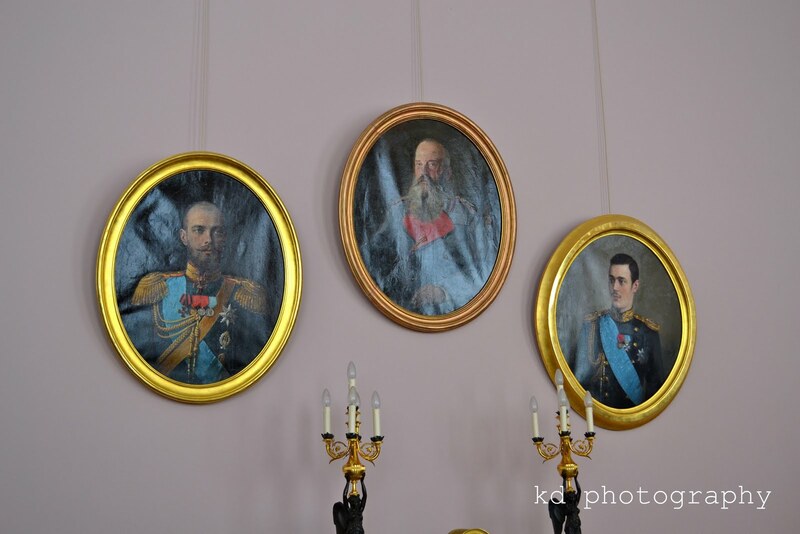 what, no portrait of rasputin? hahahah..
seriously, everything looks very grand. too grand. oh my gosh, parang nasilaw ako dun sa second to the last photo! did you check your ayes after for the glow? he he!